When you're in the mood to do a creative project, it's great to have an idea book of things that have inspired you. Having a central location for these inspiring projects and images gives you an easy way to channel your creativity and make something truly special. You can make your own idea book for scrapbooking, kids' crafts, sewing, or any other creative pursuit, with a few basic supplies and tools that you may already have on hand. An idea book is a repository for all your great ideas, allowing you to easily access them for future projects. Making the idea book will take you about an hour, and you can continue to add new ideas as you find them or think of them. 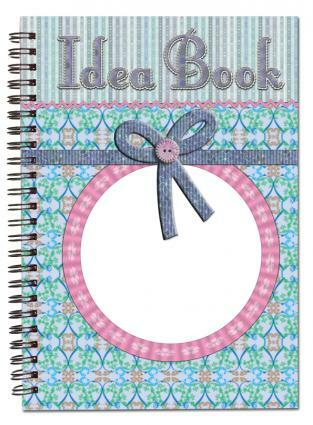 Choose some of your favorite scrapbook paper sheets to decorate the cover of your idea book. Pick papers that make you happy or offer inspiration. Cut the paper to the size of the sketch book and affix it to the cover with double-sided tape. You may want to add adhesive letters saying "Idea Book" or another title for your album. Look through the magazines and cut out projects or layouts that you'd love to make someday. Be sure to clip any accompanying instructions as well. Use double-sided tape to attach these images to the pages of your book. 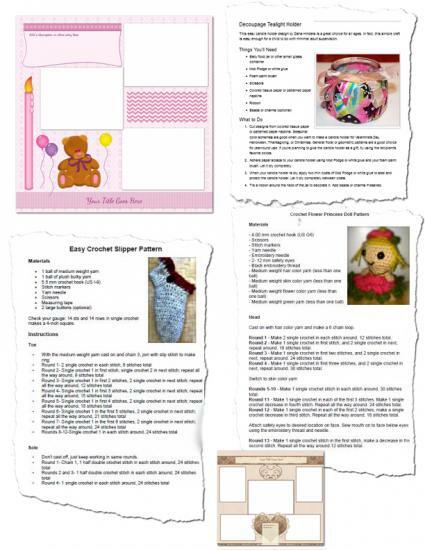 Print out any online tutorials or photos of completed crafts that you've found on the Internet. Add these to the book as well. Reserve the last five pages of the book for jotting notes about projects as you think of them. Often, these may not have an associated image and may be just a single word or phrase to jog your memory. Keep adding to your idea book until it's complete. Consider choosing a theme for your book. This can be a specific craft, such as scrapbooking, soap-making, or knitting, or it can be a thematic element like holidays, a favorite color, or an upcoming event. Either way, this will help you stay on topic and make your idea book more useful. Choose inspiring images that may or may not go with your theme. For instance, a photo of beach pebbles may inspire your jewelry crafting or a floral bouquet may be exactly the colors you want to find in a fabric. Don't limit yourself to paper items either. You can use fabric swatches, pieces of yarn, or even scraps of packages as inspiration. Affix these items to the pages of your book. Remember that there are no rules when it comes to idea books. This is a book to help inspire you, so it will be personal and very much your own creation. Don't worry if it looks different than what you envisioned; its look will evolve as you add things over time. Now that you've got an idea book, it helps to know how to use it. When you are looking for a new project or maybe feel stalled in the project you are working on, pull out your idea book. Skim over the pages, looking at both specific projects and images that inspire you to create something new. Also examine your list of ideas for something that might get your creativity going. Choose an image or project and get to work. An idea book is a great way to become more creative and productive, no matter what craft you practice. Drawing on previous inspiration can help you stay focused and make more of your ideas into reality. The next time you don't know what to create, you'll have easy inspiration at your fingertips.